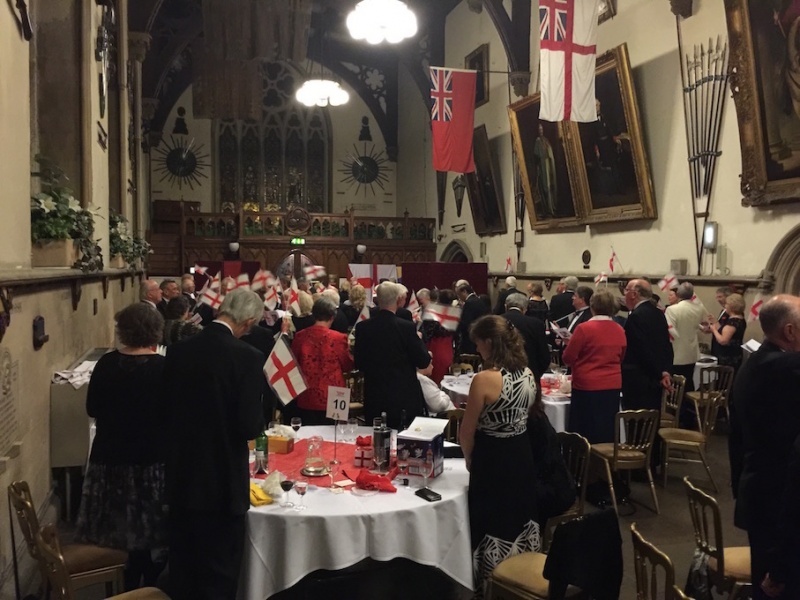 On 23 April Deal Rotarians celebrated St George’s Day with our now traditional dinner, jointly with the Rotary Club’s of Dover, South Foreland and Sandwich. 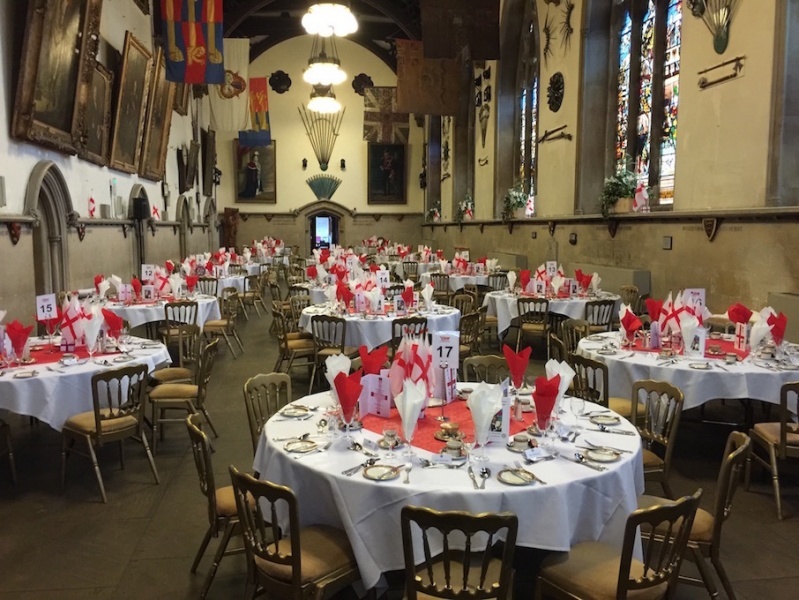 The event was held in the magnificent setting of the Stone Hall at Dover Town Hall. 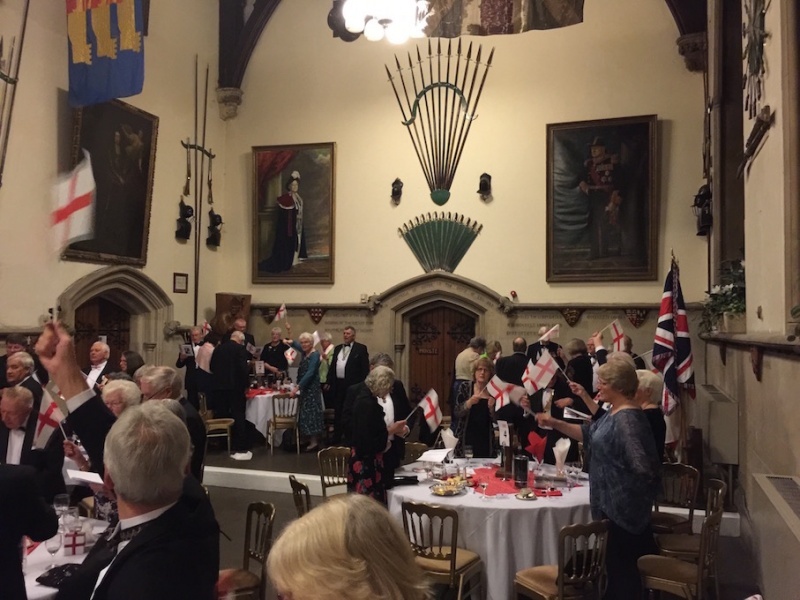 We entertained 150 guests, the principal guests being Admiral of the Fleet, The Lord Boyce KG, GCH, OBE, DL, Lord Warden of the Cinque Ports and Constable of Dover Castle. We also welcomed District Governor Ray Dixon and his wife Jenny. 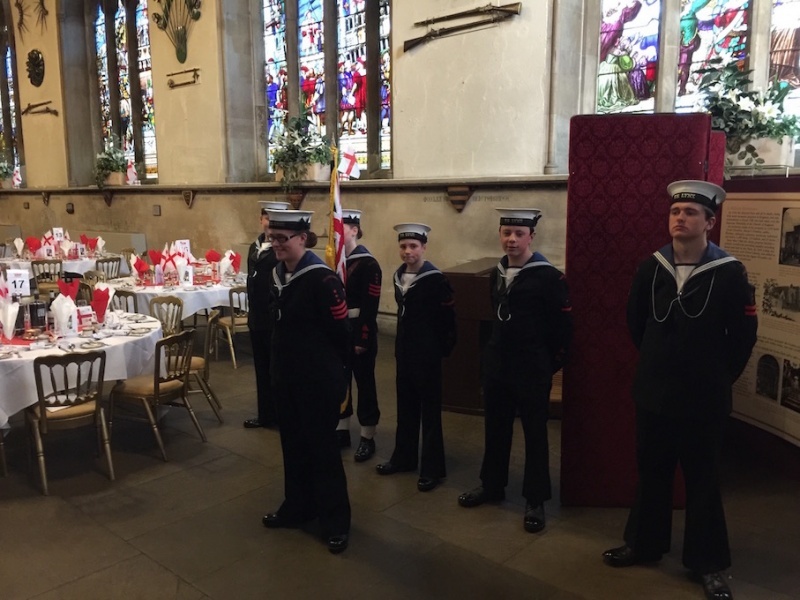 A detachment from Dover and Deal Sea Cadets provided a guard of honour. They formed a guard to welcome our guests as they arrived, with the four Club Presidents (Ian Dunkerley, RC Deal; Richard Blackman, RC South Foreland; Roger Walton, RC Dover and Terry Kemp, President Elect, RC Sandwich. 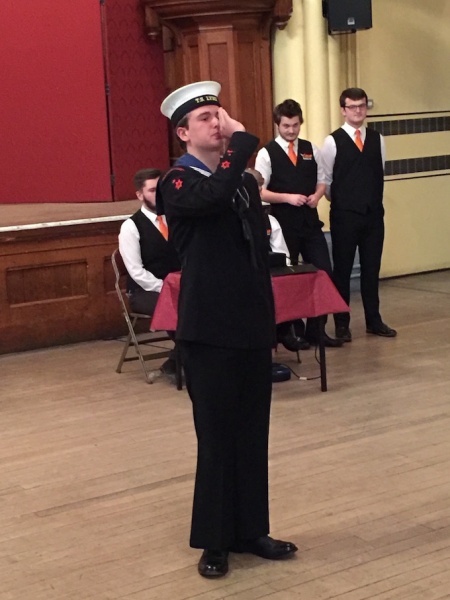 With deference to the Naval background of The Lord Warden, The leading Cadet ‘piped in’ the guests to dinner with his Bosun’s Whistle. We enjoyed a traditional St George’s Day Dinner with The Roast Beef of Old England, the arrival of which was heralded with a trumpet call. The Lord Boyce gave an interesting and poignant address with a St George’s theme, explaining the emblem/flag had been used by the Crusaders in the eleventh century, the red cross of St George also featured on the flag of the Royal Navy and on the emblem of the Garter Knight’s, The Lord Warden being a member of the unique order of chivalry – a maximum of 24 knight’s appointed personally by The Queen.